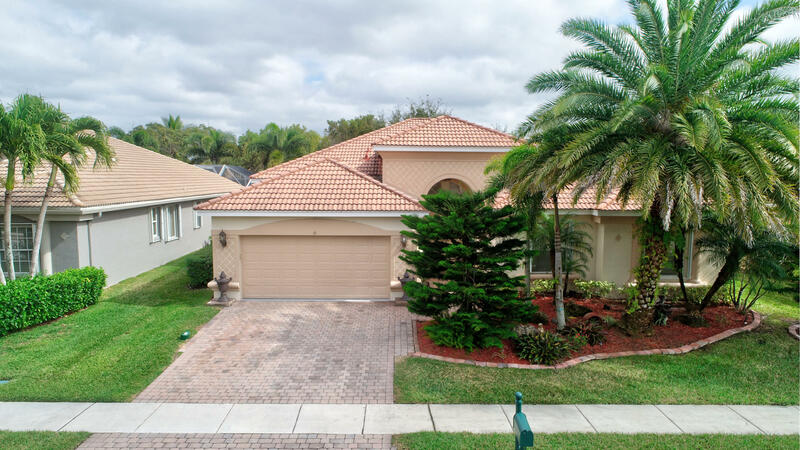 All Villaggio homes currently listed for sale in Lake Worth as of 04/26/2019 are shown below. You can change the search criteria at any time by pressing the 'Change Search' button below. "Looking for a home with a beautiful water view? 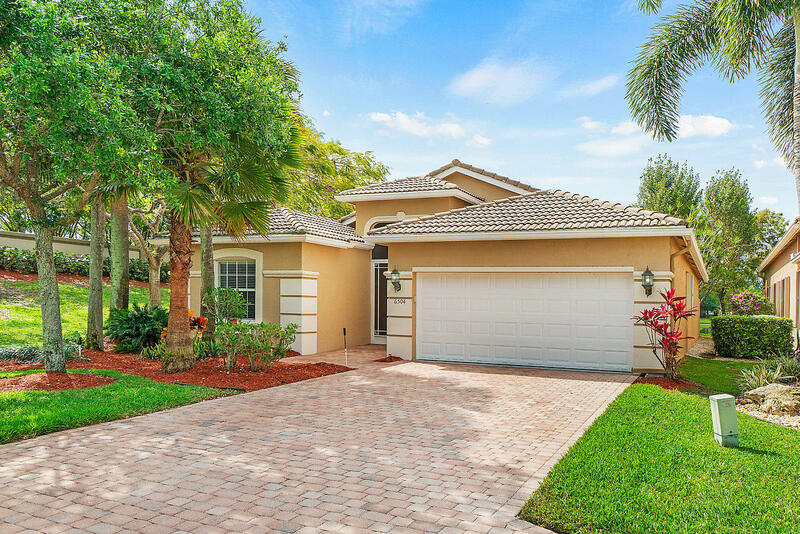 This popular Maiano model in Villaggio may be just what you're looking for. The main living area has ceramic tile on the diagonal with tile inlays in the Foyer. The Kitchen has upgraded granite countertops and backsplash, double oven, wood cabinets, upgraded Sink, Range and microwave and pullouts in the pantry. There are extra high hats throughout and there are french doors leading into the Office/Den. There are built in closet systems in the master bedroom and the master bath has a seamless glass shower door, wood cabinets and a custom glass block window. The guest bedroom has a walk in closet and the guest bath has tile to the ceiling on the diagonal. The dual zone air conditioners are 3 years old and 4 years old respectively." 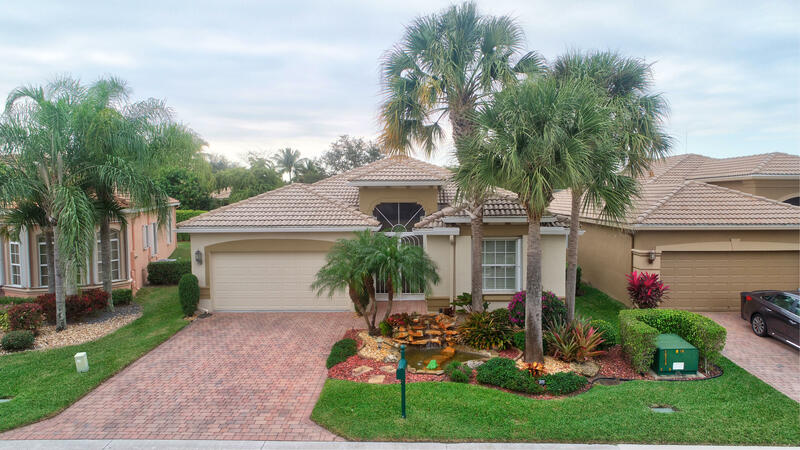 "IMPRESSIVE MAIANO MODEL WITH TILE THROUGHOUT! EXQUISITE LIGHTING FIXTURES INCLUDING PENDANT LIGHTS IN KITCHEN, MASTER BATH & SCONCES IN THE FOYER & DINING ROOM. LIKE NEW GORGEOUS APPLIANCES . 42'' CABINETS IN THE KITCHEN, GRANITE COUNTERS, SNACK BAR, ISLAND & OPEN TO THE FAMILY ROOM & BREAKFAST AREA. GREAT FOR ENTERTAINING. LOTS OF HIGH HATS THROUGHOUT. POWDER ROOM HAS BEEN REDONE IN A TRADITIONAL MOTIF. BUILT-IN WALL UNIT IN DEN...NO CLOSET. THIS MODEL AFFORDS YOU AN OPEN & SPACIOUS FLOOR PLAN. THERE'S PLENTY OF ROOM FOR VISITING GUESTS. COME JOIN THE ACTIVE VILLAGGIO LIFESTYLE: 2 CLUBHOUSES, SOCIAL & ATHLETIC, INDOOR/OUTDOOR POOLS, CAFE, SHOWS, CARDS, CLUBS, TENNIS, RACQUET BALL, PICKLE BALL, BOCCI & SO MUCH MORE!" 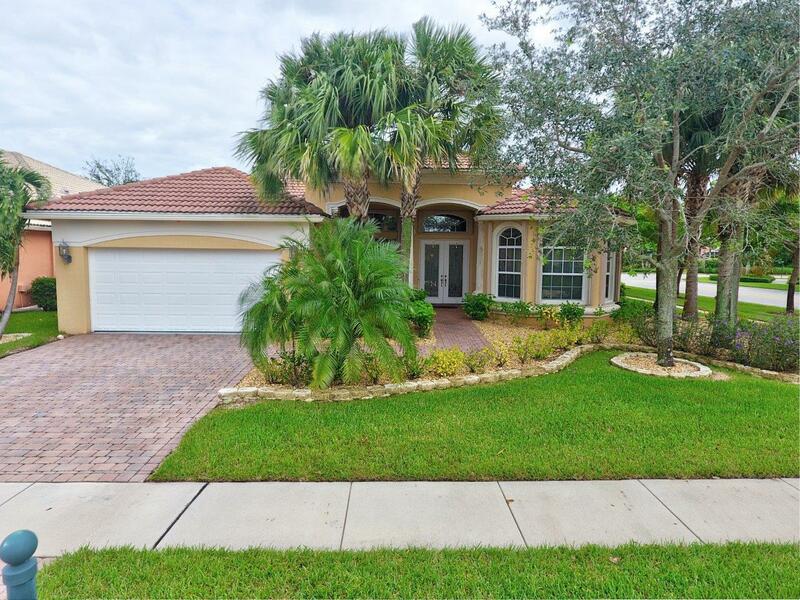 "This lovely Maiano home is nice and bright. It is beautifully cared for and move in ready. Nice neutral colors, no painting to do unless you care to. There is a new water heater and new washer and dryer in the home. If you like a private back yard, this is it. No one is behind you, just vacant land. When you enter the double front doors, you see a nice open floor plan with neutral tile floors. The large kitchen has a center island and granite counter top. The exterior is freshly painted. If you've been waiting for a 4 bedroom home in Villaggio, this may be the one.Villaggio is a sought after desirable friendly community of 538 single family homes. Including a recently renovated clubhouse, an outdoor resort style pool"
"This home is definitely for the discriminating buyer. It is the Rolls Royce of the DaVinci collection. The floors throughout the home have imported Italian porcelain tile which is a $55,000 upgrade. The french doors leading to the extended patio have hurricane impact glass. The kitchen has wood cabinets, upgraded granite with full granite backsplash, under and over counter lighting. The appliances are 1 1/2 years new. The window treatments throughout the home are Hunter Douglas and the one covering the French Door is motorized. The office/den/third bedroom has a custom Murphy Bed and built in desk. The extended patio has a relaxing water view and the attractive lanai furniture is included in the sale. Also included is a 7.250 Watt Generator that hooks up to the circuit panel." 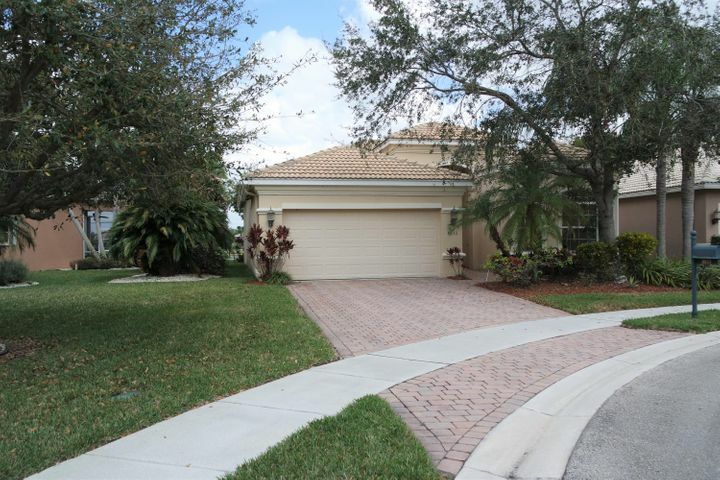 "GREAT ROOM, DINING ROOM, KITCHEN & UTILITY ROOM, RECENTLY PAINTED A LIGHT GRAY, BEAUTIFULLY MAINTAINED RIVIERA MODEL. THIS GREAT ROOM CONCEPT HOME IS ALWAYS IN DEMAND. NEUTRAL TILE SET ON A DIAGONAL, WOOD LAMINATE IN BEDROOMS, CUSTOM CLOSETS, CROWN MOLDING THROUGHOUT, ETCHED GLASS DOORS, 42'' CABINETS WITH PULL-OUT SHELVES, UNDER/OVER CABINET LIGHTING, CONVENIENT DESK AREA, S/S REFRIGERATOR, BEAUTIFUL DECORATIVE FANS, EXTENDED SCREENED PATIO, LAUNDRY TUB, PULL-DOWN STAIRS TO ATTIC, PROFESSIONALLY LANDSCAPED, ACCORDION SHUTTERS, & LEADERS/GUTTERS. PARK IN BACK OF HOUSE ULTIMATE PRIVACY. COME JOIN THE ACTIVE VILLAGGIO LIFESTYLE: INDOOR/OUTDOOR POOLS, CLUBS, SHOWS, CARDS, TENNIS, ATHLETIC CENTER & A CAFE. PICKLE BALL COMING SOON! ALL SIZES ARE APPROX. & NOT GUARANTEED. SOLD AS IS WITH"
"BEAUTIFUL DESIRABLE MODENA ON WATER WAITING FOR YOU! CUSTOM KITCHEN WITH POTS/PANS DRAWERS,CROWN ON TOP OF CABINETS, PENDANT LIGHTING, INSTANT HOT, STEEL FINISH SIDE-BY-SIDE REFRIGERATOR 2018, MICROWAVE 2017, 80/20 SINK, & UPGRADED GRANITE. NEUTRAL TILE SET ON A DIAGONAL. WATER FILTRATION SYSTEM THROUGHOUT THE HOUSE. CUSTOM WINDOW TREATMENTS & DECORATOR FIXTURES. NEW GARAGE DOOR OPENER 2018, A/C & WATER HEATER 2 YEARS NEW, & PROFESSIONALLY LANDSCAPED. COME JOIN THE ACTIVE VILLAGGIO LIFESTYLE: 2 CLUBHOUSES, SOCIAL & ATHLETIC, INDOOR/OUTDOOR POOLS, TENNIS, PICKLE BALL, CLUBS, SHOWS, CARDS & A CAFE. SOLD AS IS WITH THE RIGHT TO INSPECT. ALL SIZES ARE APPROX. & NOT GUARANTEED. PICKLE **THIRD BEDROOM NO CLOSET BUT ROOM FOR CLOSET. **"
"THIS CONTEMPORARY HOUSE IS GORGEOUS AND IN A NICE LOCATION IN THE COMMUNITY. FANTASTIC CURB APPEAL & RIGHT ACROSS THE STREET FROM A BEAUTIFUL LAKE/PARK. SOME OF THE AMAZING UPGRADES ARE: NEUTRAL TILE SET LIKE MARBLE ON A DIAGONAL WITH GRANITE INLAYS IN THE FOYER. THE FAMILY ROOM & OFFICE HAVE BUILT-IN WALL UNITS. IMPRESSIVE DECORATIVE LIGHTING FIXTURES , SCONCES, HIGH HATS IN ALL ROOMS, & FANS THROUGHOUT. PLANTATION SHUTTERS IN THE GUEST BEDROOM & HUNTER DOUGLAS SHADES IN THE OTHER ROOMS. OPEN/BRIGHT KITCHEN WITH WOOD CABINETS, S/S APPLIANCES, & TUMBLE MARBLE BACK SPLASH. THE MASTER BATH HAS WOOD CABINETS & BEAUTIFUL FIXTURES. THE PATIO HAS BEEN EXTENDED & HAS A SERENE WATER FEATURE & LANDSCAPING . ACCORDION SHUTTERS, LEADERS/GUTTERS, & TANKLESS WATER HEATER 3 YRS NEW, A/C 4 YRS." "Absolutely breathtaking lake views. Located on a quiet cul-de-sac with serene lake views.Home with double door entry.Custom Kitchen, 2 walk-in closets, crown moldings in every room. Tray ceilings in foyer and master bedroom.Spacious open and sunny home. Beautiful 20x20 custom tile on the diagonal. 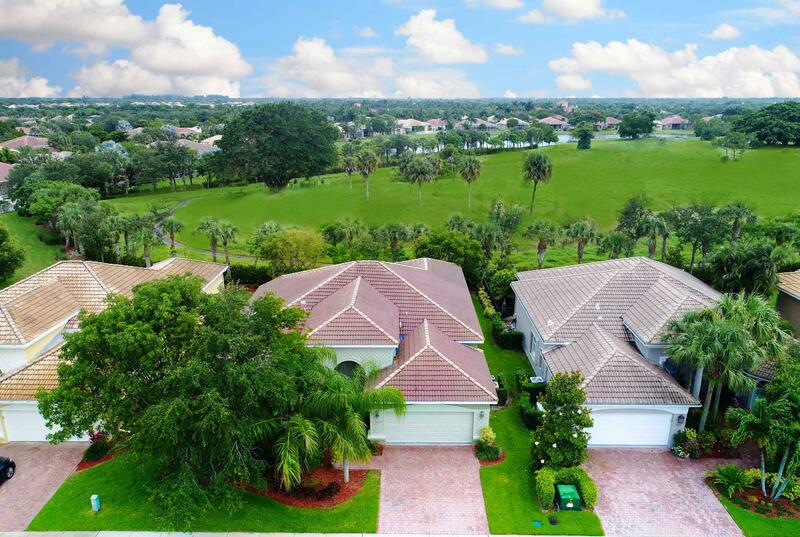 Manned gated communityFull amenities include; tennis courts, 2 pools and spas, cafe and more.Stunning place to call home.Do not wait to see this gem.Bring all offers." "Highly sought after Portofino model. 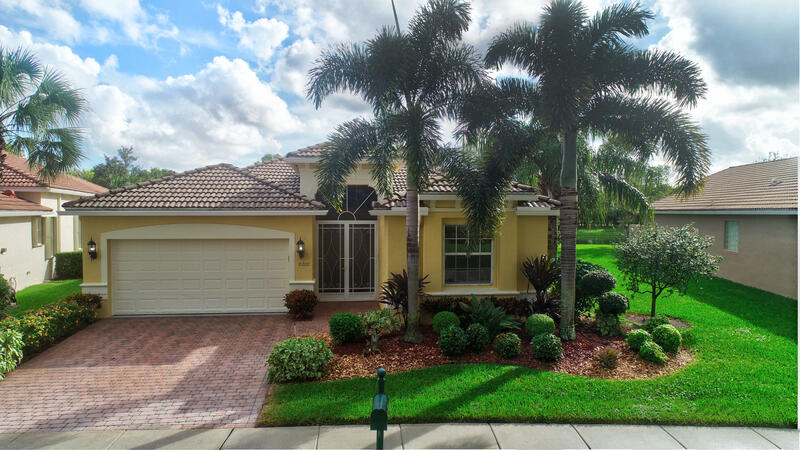 This home features, 3 bedroom, 2 bath leaves a lasting impression, that will not disappoint. Ideal open floor-plan for entertaining with a large living room, dining area, and large corner lot. The marvelous kitchen features wood cabinets, granite countertops, high hat lighting and a snack bar. The master suite includes a large walk-in closet and a walk-in shower. Enjoy a quiet evening on the screen enclosed patio overlooking the lake. 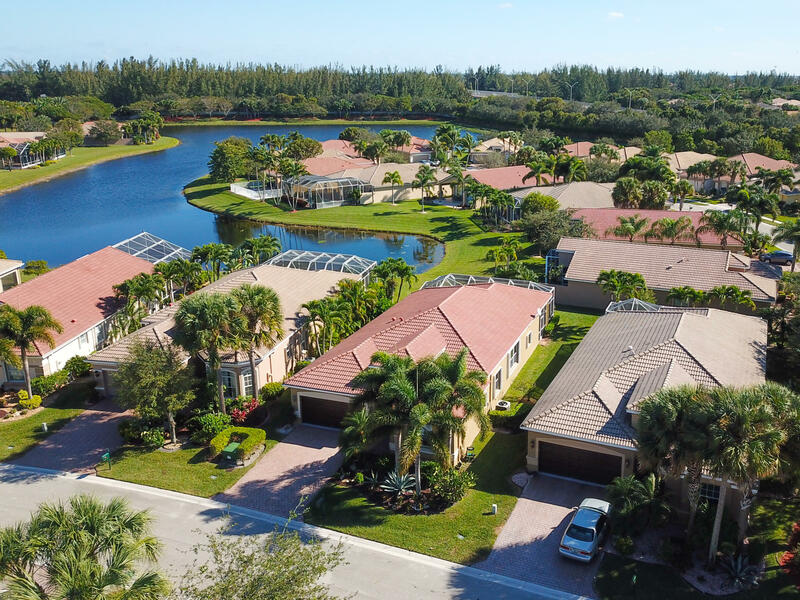 Carpeting has been freshly cleaned, neutral tile and accordion shutters complete this neutral painted home.Villaggio boast state of the art amenities that include a clubhouse with cafe, resort style pool, tennis courts, gym,and much more. 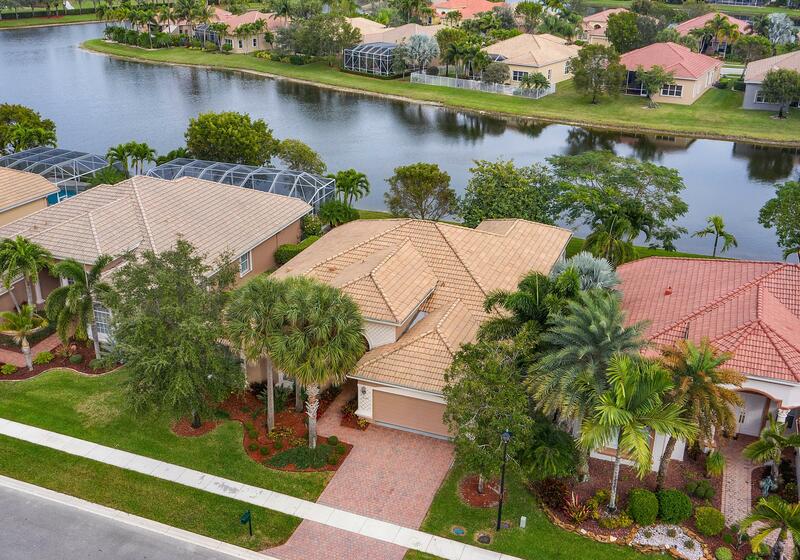 Schedule your private viewing today!"